"Ward’s attention to detail proves invaluable in documenting the anxiety of these uncertain years, when mysterious stomach pains and fevers suddenly progressed into fatal conditions that 'arrived like lightning bolts.’ The book includes important glimpses into the emerging AIDS subculture—such as Louise Hay’s first support groups and the founding of Boston’s AIDS Action Committee by Larry Kessler—but the disease is secondary to how romantic love and commitment are strained when confronted with the unimaginable.... Ward never hesitates when peering into the abyss of this traumatic time, and the result is a courageous and necessary addition to the canon of AIDS literature." "What distinguishes The Sea Is Quiet Tonight is not only that it’s an AIDS memoir, but that it’s also a story of falling in love . . . and the long, hard struggle to meld two separate lives together." 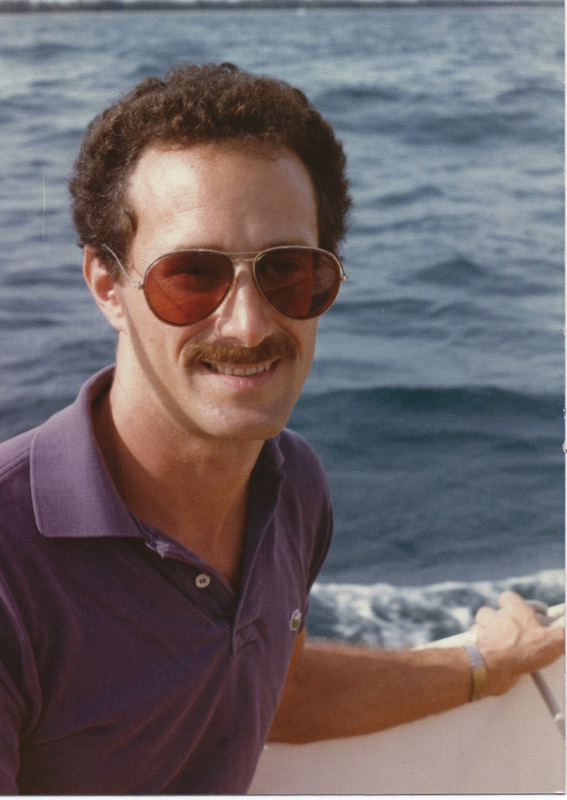 "Retired psychotherapist Ward’s tender, frank and inspiring memoir The Sea Is Quiet Tonight recounts his relationship with Mark, an aspiring professor turned avid sailor, during the early days of the AIDS crisis, long before the virus even had a name. Their story is often enlightening, occasionally infuriating and always compelling. Ward's retelling is so sincere and genuine, you almost instantly feel as though you know both men personally... It also reminds us that regardless of how far we’ve come, the battle against AIDS is far from over, and it is imperative that we continue to learn from the past." "Ward is a talented storyteller who’s created a compelling, emotionally rich tale out of a difficult, tragic time in American history. Anyone looking for more insight into the AIDS epidemic from a deeply personal perspective will likely benefit from this book. It could have been incredibly difficult to read about someone watching their partner struggle through disease, but Ward handles his and Halberstadt’s story with admirable grace." "Ward has a knack for scene setting. He uses minor details to evoke the era, and each player’s dialogue is distinct and relatable. He also captures the early enigma of AIDS: how little doctors knew about treatment, and how scary it was for gay men, who might or might not have contracted it.... The Sea Is Quiet Tonight serves as an important reminder of what AIDS represented in its early days. It is a gripping story of a man’s struggle to survive the disease, and a touching memoir about a relationship that ended too soon." "Ward takes us back and realistically tells us about how AIDS affected Boston and from a more personal point of view how he dealt with the loss of his partner. Mark Halberstadt and Michael Ward fell in love at the very beginning of the AIDS epidemic in 1981. It is so important to note here that when the world was still learning about the disease, Michael and Mark were already dealing with it.... while this book is about Michael and Mark, it is also about all of us who lived through this period and whose lives have not only been affected but changed in many, many ways.... Ward shows us the true meaning of love and friendship. More important than that is we see what being an adult and human really means." "The Sea Is Quiet Tonight is, by turns, a painful reminder and inspiration tale of both the love and loss experienced by so many during the early years of the AIDS epidemic. Ward details his partner Mark’s diagnosis and death with honesty, delving into the closeness that can develop between partners, family and friends, even as death is imminent." ​"Michael Ward’s book presents a realistic and insightful portrayal of the early AIDS epidemic in Boston. I was especially moved by the vivid descriptions of love and loss expressed at Mark’s memorial service." "Over three decades ago, just when we were all learning about AIDS, Michael Ward and his lover experienced firsthand the uncertainty, fear, and heartbreak of the disease. It is essential that we not forget these early days of the AIDS crisis. Thank goodness Michael is here to remind us of the human cost of those days in this moving, deeply personal, and beautifully written book." "The Sea Is Quiet Tonight is about so much more than life and death. It's a story about how relationships survive when death is close. It's a story about community. While no relationship is without its difficulties and challenges, this wonderful memoir presents a searingly honest portrayal of life and love, of decency and strong ties. It asks all the right questions within the frame of a fraught relationship. The writing is tight and clean, and the prose is never maudlin. Michael Ward has written from the heart about a wonderful, terrible time in his life, and in so doing he’s honored Mark Halberstadt’s memory." "Sometimes what matters most is the story under the story. Maybe you think you know the story of the AIDS crisis and its devastations in this country. But inside that story are the kind of guiding, soul-level stories we need so much now: about how to be a true friend, how love takes apart our fondest dreams of what’s supposed to happen, and ultimately how to grow up as human beings. Michael Ward’s The Sea Is Quiet Tonight gives us both the outside and the inside stories. I read it in two sittings, riveted, nourished by the honest, sad, funny, beautiful truth of what unfolded for the author and his beloved and their friends and family. I won’t forget this book." "The Sea Is Quiet Tonight is beautifully written, a deeply affecting story." "Profoundly evocative of a time when hilarity and high camp gave way to unimaginable horror. Enter into these pages, if you dare. For those of us who lived to tell the story, Michael Ward calls forth the memory of the beauty, the dread, the terror, and the extraordinary ways we cared for one another."